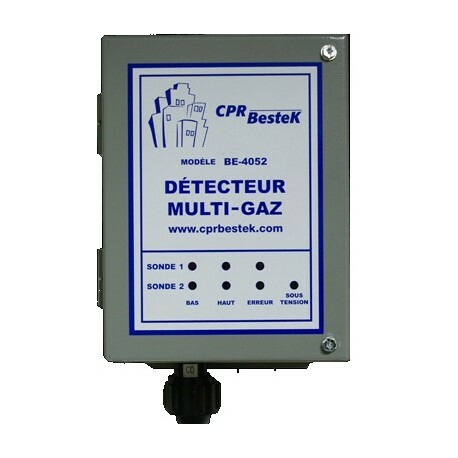 -Includes two sets of 10A relays for activation/alarm and fault detection relay. -Power: 120 VAC - optional 24 VAC, 220 VAC. 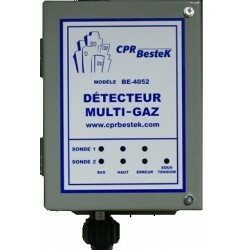 -LED indication of Power On, Fault detection, and 2 thresholds indicators for each gas channel. 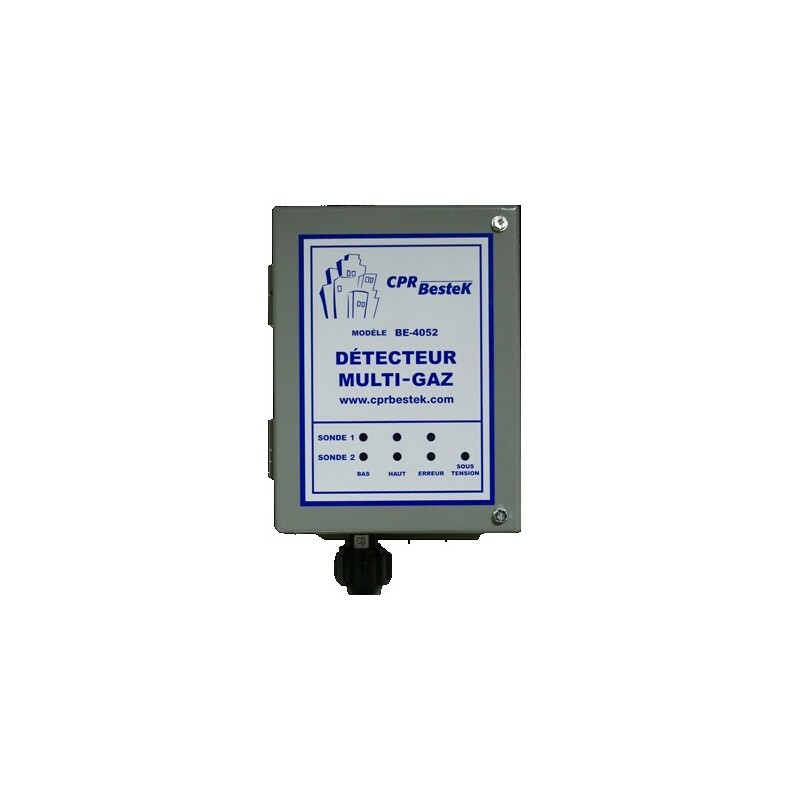 -Multiple controllers can be daisy chained to provide multiple sensor zone control.